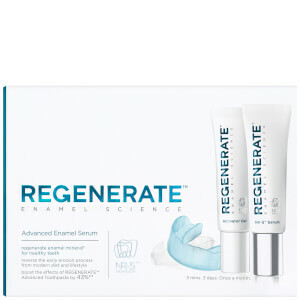 Discover the innovative range of dental care from Regenerate here at Mankind. 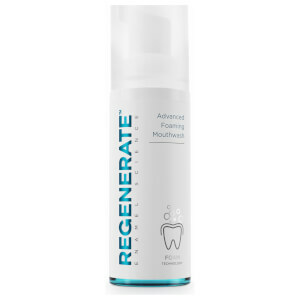 Regenerate features exclusive NR-5™ technology which is a unique formulation that forms a fresh supply of enamel mineral that wraps and integrates onto the teeth. By regenerating enamel mineral, the same mineral which tooth enamel is made of, it protects and strengthens the teeth against cavities. The dense formula and rich texture restores original whiteness whilst leaving behind a fresh mint sensation which lasts. Working immediately from the very first use, using daily twice a day will dramatically improve your teeth for a healthy mouth. 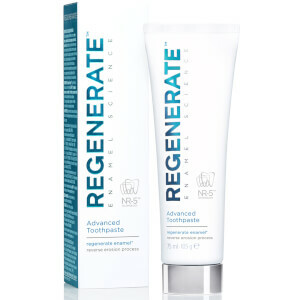 The Regenerate Enamel Science Advanced Toothpaste is clinically proven to reverse the effects of erosion. Protecting against natural erosion and cavities, it protects the core of your teeth from becoming damaged for a healthy, white smile. How Does Tooth Erosion Happen? Tooth erosion happens naturally every day due to acid breaking down the enamel surface of your tooth. Food and drinks remove the mineral from your teeth, before working downwards and eroding your tooth from within. You can protect your teeth from erosion by brushing regularly and rebuilding enamel with Regenerate toothpaste.